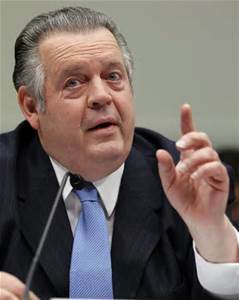 Seemingly forgotten by the hypocritical Mohler is the ongoing excruciating years that he has created for evangelicals by his ongoing cover for C.J. Mahaney. You may recall that C.J. Mahaney is the disgraced former leader of the Sovereign Grace Churches denomination. Mahaney is credibly charged with blackmail, covering up numerous sexual abuse cases of children in his denomination, and approving a plan to creat a “hush fund” to silence a Sovereign Grace pastor whose son was sexually abused. Mahaney also purchased Mohler’s loyalty by donating in excess of $200,000 to Southern Baptist Theological Seminary. $200,000 apparently buys one a lot of cover! So while Mohler has no problem excoriating evangelical pastors planning to vote for Donald Trump, he had no problem sharing the T4G conference platform with his best friend C.J. Mahaney. 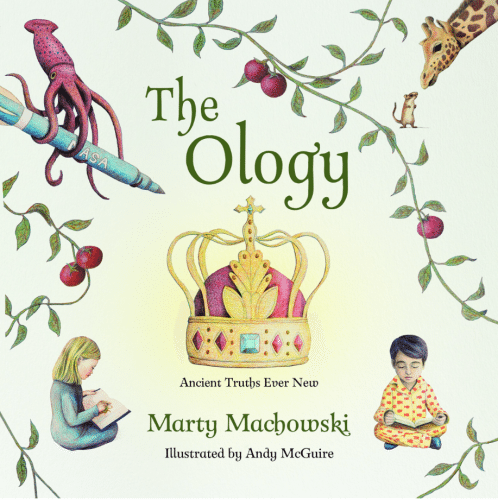 He even introduced Mahaney prior to his speech at the conference, making light of the many negative stories which can be found on Mahaney on the internet, while at the same time implying that information on the internet is not to be trusted. In the video below Albert Mohler and Russell Moore tell their fellow Baptist leaders that as a Christian they cannot vote for Donald Trump. Below is a clip from an article Russell Moore, President of the ERLC, wrote in The Washington Post. The complete article may be viewed here. 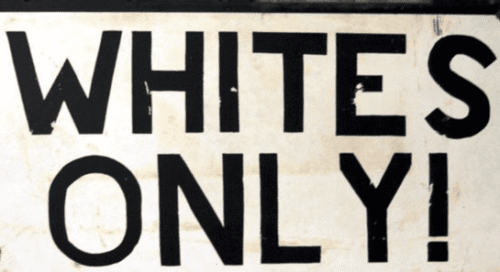 I have recently written an article about the Ethics and Religious Liberty Commission (ERLC) which highlights their progressive politics, including an NGO membership in the United Nations. A couple of comments on the article below. I don’t believe one can utter phrases unintentionally and subconsciously. While it may make for a nice segue into his story, I would suggest Moore quit describing himself as an evangelical because he is embarrassed to be identified as one. It’s good to know that once he caught himself talking this way he quickly discovered the reason why he did so. The article then goes on to describe why he hates the word “evangelical. Moore concludes that he is hopeful for the future of evangelicalism because of the young men in seminaries and planting churches and because of all of this same crowd flocking to conferences. He doesn’t mention the T4G conference, which I discussed above, but he does mention the TGC conference. It should be stated that The Gospel Coalition also came out with a strong statement of support for C.J. Mahaney. This statement of support has never been rescinded even though Mahaney has been forced to resign from leadership of TGC. As for the young seminary graduates, I have heard of many stories where these young 9Marx Neo Calvinists have either started new churches or went into existing churches and totally destroyed them. Mark Dever and Jonathan Leeman have admitted problems with the youngsters in a video they made. 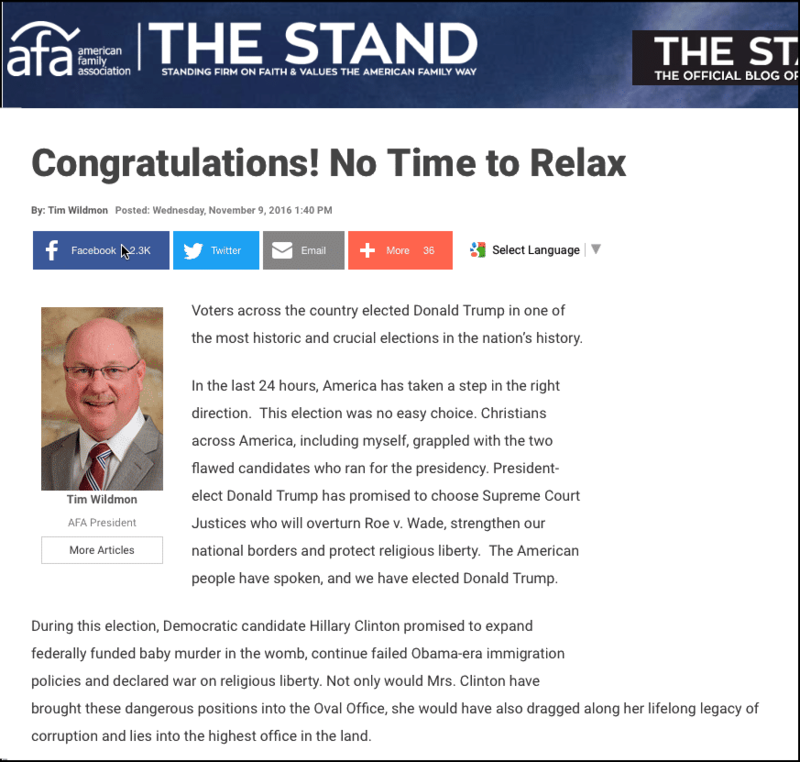 Here’s a differing opinion from Tim Wildmon, President of American Family Association. This was a segment of the Janet Mefferd show from 11-10-2016. “Nothing sparks controversy and division faster than religion and politics and rightfully so because an error in either has profound consequences. This presidential election is an existential choice between freedom and a generation of ingrained and institutionalized corruption. There will be no redo in four years if we choose wrongly. Consequently, the opinions of those that influence the ignorant masses matter, which brings me to the significance of recent statements made by R. Albert Mohler Jr., President of the Southern Baptist Theological Seminary, and Russell Moore, president of the Ethics and Religious Liberty Commission of the Southern Baptist Convention, who recently weighed in on the presidential election. On CNN and in an article in the Lexington Herald-Leader, Mohler was warning people within the faith community to keep their distance from Donald Trump. Elsewhere they have said they would not vote for him. I have been a member of the Foundation Board of Southern Seminary for years and am currently an associate of the foundation, a seminary student and have donated thousands as well as given annual grants to professors. I and others on the board could not disagree more with Mohler’s position on Trump. Moreover, many professors disagree as well, but can’t speak out. So professors at Southern Baptist Theological Seminary are not free to speak their minds? One would think that in order to maintain an air of respectability an institute of higher learning must encourage academic freedom for the professors. Apparently not. This should call into question the quality of the Masters and Doctorate programs at SBTS. It should also cause those considering pursuing further education at SBTS to reconsider. It would be to a students benefit to seriously consider higher caliber institutions. “We all know his sins. As scripture says, any man who says he is without sin is a liar. 1 John 1:8. At least we know Trump’s sins. We don’t know the sins of the “Never Trump” crowd, do we? Do we know the sins of those who teach and preach in our religious institutions and seminaries? I’m sure if some of the content of the discussions in closed-door meetings of Moore and Mohler while others were present were disclosed, the hypocrisy of their stand on Trump would be humiliating and humbling. Perhaps that is what is needed. I agree with Mr. Richardson. Greater transparency is exactly what is needed. A mini Wikileaks could provide excellent insight into the corruption among the high-level salaried employees of the SBC. I would love to know the reason Mohler continues to offer cover to C.J. Mahaney. SBC members who contribute their hard-earned dollars deserve to know why Russell Moore honors Richard Land and why ERLC is an NGO member of the globalist United Nations. These elitist leaders think they know better than anyone else. I believe their attitude towards the average SBC member is not unlike Hillary Clinton’s attitude towards Trump backers – deplorables. I urge you to click the link above and read the complete article. It is a scathing rebuke of Mohler and Moore; well deserved in my opinion. Jack L. Richardson IV, I tip my hat to you. I applaud your courage to speak out boldly. Knowing that there are men like you holding Mohler’s and Moore’s feet to the fire gives me hope that the SBC ship, though listing heavily to port, may yet be righted. I actually had a leader at SBC’s convention in my State tell me years ago, when questioned about the proliferation of New Calvinism in SBC seminaries and churches, that the pew didn’t have a clue about such things and were easy pickins’ for the New Calvinist movement. Boy, was he right! When these “deplorables” finally catch up with Mohler, Moore, et al., they will drain the swamp. But, the pew must first repent of its apathy, complacency, and willing ignorance in supporting the New Calvinist rebellion in its ranks. Btw, does anyone else think the word, evangelical, is a lot like the word, Gospel, these days? What does it mean? Are Dones, evangelicals? From my vantage point, many “Dones” are some of the best evangelical Gospel-toting folks on the planet today! I suppose there are two types of Dones: Christians done with doing church without God and non-Christians just done with doing church. Just because Christian Dones are done with the institutional church doesn’t mean they are done with Christ. They have simply chosen to step away from the counterfeit to seek and preserve the genuine, after growing tired of religious noise focused on the teachings and traditions of men and not the commandments of God (Jesus warned us about teachings of men). These Dones desire Truth over error and have enough spiritual discernment to know the difference; the institutional church in America has become so full of error (e.g., New Calvinism) that the Dones are done with it. You’ll find many Dones being the Church rather than going to church, knowing that Jesus came to redeem and work through individuals not institutions. But, Praise God for good men and women who are still striving in organized religion and trying to right the ship; they have not yet entered the Done ranks as they make a last stand. At some point (in perhaps the not so far distant future), the last “trump” will be sounded from Heaven to rally the Bride of Christ after God brings judgment on that which calls itself the house of God, but isn’t. It is the same word. εὐαγγέλιον ( transliteration: euaggelion) is literally good news or gospel. Five, I was thinking more how the popular culture/pundits define it. 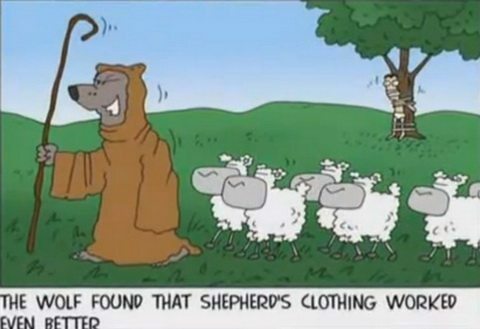 Church goers? In my neck of the woods, Generation Xers and Millennials are attracted to pulpits which serve them what they want … easy church, come as you are, relax, free coffee/donuts, cool bands, hip preacher, the latest sermon borrowed from Piper, etc. So the “church goers” go, this new breed of “evangelicals.” But crowds are not necessarily congregations of the Lord. Many come and leave as they are, without God or His Son. As an old guy, I’m patient with this new form of doing church as my generation fades from the scene. But, I have found substance greatly lacking in such gatherings in my area. It’s not the method, but the message which is not producing disciples of Christ in a lost world. Church goers (and their preachers) ain’t what they used to be Lydia. Unfortunately, the plight of professors not being able to speak their minds is not limited to SBTS or one of its sister seminaries. I have friends who are conservatives, at least moderately so, and who teach on state funded campuses and some on private ones. They feel the same way – they are not free to challenge the accepted beliefs or even question them. Mike Adams, professor at UNC Wilmington, has written extensively about this and even took the university to court when they censored him for sharing his political opinions. That being said, the sooner that Mohler’s and Moore’s influence begins to wane, the better. Yet we know that nature abhors a vacuum, so who knows what will replace it. Of course, complete theological and political homogeny seems to be the modus operandi of the Southern Baptist seminaries these days, whether they be Neo Calvinistic in their leanings or more Armenian. Thanks for the great comments. I agree that censorship/free speech issues exist at all academic institutions understandably. However, I also comprehend why people say that the Southern Baptist Theological Seminary (SBTS) has become exceptionally anti-intellectual under Al Mohler, based on my interactions with its recent graduates. Many of them lack the critical thinking skills of the average 8th-grader, in my experience. Nor do they have the practical skills, such as the ability to read a simple financial statement or adhere to secular laws regarding reporting child sexual abuse, needed to run Churches responsibly. Yes, even very minor theological issues are used as a means to divide people. Excellent point. Organized religion in the U.S. seems to be on the decline generally, yet the SBC really seems to hemorrhaging members right now. Perhaps, Mohler and Moore will remain SBC leaders but find they have fewer and fewer people to preach at. Many of them lack the critical thinking skills of the average 8th-grader, in my experience. Sadly, I have found this to be the case as well. While I am sure that many reasons for this exists, I believe it is primarily because critical thinking is neither taught nor even encouraged on SBC seminary campuses. It is far better to implement a multi-level system of indoctrination, similar zikr utilized by the strictest madrasas, than to teach students the ability to question and think critically. After all, once a student learns to think critically, they may then disagree with the ex cathedra pronouncements of the lofty Neo Cal leaders. Agreed. One only has to sit through a few sermons at an SBC-YRR church plant to realize the depth of New Calvinist indoctrination. Recent SBC seminary graduates are essentially parrots of NC leaders. At seminary, they learned group think not critical thinking, which requires them to always be associated with the group rather than relying on the Lord for their ministry. Unless they see this, they will always be preacher-boy parrots, rather than men of God. I agree, Max. And because recent SBC graduates are so poorly-educated, practically-speaking, they probably have few job opportunities outside their SBC-YRR Church club even if they become disenchanted with it, so can’t save what is almost certainly the sinking ship they’re on. Neither mainstream denominations or the secular corporate world are likely to be interested in employing people who act like automatons and possess little more than systematic theology degrees from a seminary that is no longer widely respected. My theory is that this SBC-YRR club was able grow and take care of its own until the economic crash of 2007 made it impossible for pew-sitters to support these guys in the lifestyles to which they have become accustomed. They’ve compromised by answering their own phones instead of hiring three secretaries to support every Pastor, but such cutbacks are not enough to save a movement that really didn’t sell people on the idea that they may have to live on what would typically be considered a Pastor’s genuinely modest salary and benefits. 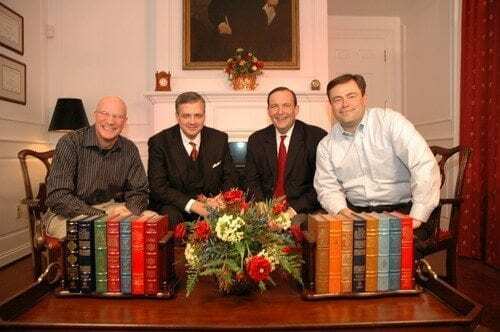 Janna, SBC’s New Calvinist leaders (Mohler, Ezell, et al.) have created a way to secure first jobs for these new YRR seminary graduates. It’s called “church planting.” Through it’s North American Mission Board (led by Kevin Ezell), SBC has an aggressive goal to plant 1,000 new churches per year (with YRR leadership, of course, but they won’t admit that) by utilizing a $60 million annual budget to do so, with money provided by SBC’s unsuspecting non-Calvinist majority. The other avenue of employment for these young reformers is to lie to pastor search committees about their theological leaning and then proceed to takeover traditional churches. It’s a much tougher row to hoe than pastoring a church plant, with all the weeping and gnashing of teeth that occurs when you rid the house of non-Calvinist members. But in purging the church of non-Calvinists (who financed the church and its ministry for years), YRR pastors feel they are doing it for the good of the movement. Thanks, Max, that makes sense. I just wonder if the market for what these guys are peddling is shrinking and/or search committees are on to their fanatical leanings so are resorting to boycotting entire “problem” seminaries. For example, I’m told that some SBC Churches are refusing to look at any candidates from SBTS because they have a reputation for lying about their true beliefs and agendas, as you’ve indicated. 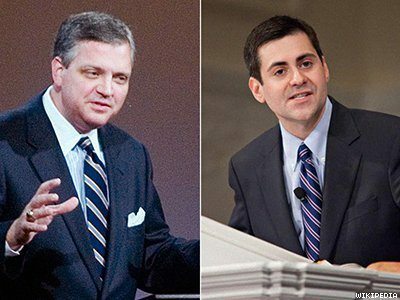 I would certainly throw away the resume of anyone with an SBTS degree at this point, even though the seminary appears to have been more responsible before Al Mohler took over. You can also reach a point of diminishing returns regarding planting Churches irrespective of whether there’s really a demand for them or not. The U.S. does not have a shortage of Christian Churches, in general. Most more mainstream Churches won’t demand 10% of your income, gross, for the incredible privilege of becoming a member, so those that do will continue to face stiff competition. And, in my experience, Churches that are just thrown together to provide Pastors with jobs have a high failure rate because they’re built on foundations of sand. Yes, more and more traditional SBC churches are getting wise to the scheme and are putting resumes of SBTS pastoral candidates at the bottom of the pile. SEBTS and MWBTS are also producing New Calvinist graduates by the gobs, but they have not yet received the local church scrutiny as the ground-zero for New Calvinism SBTS. There was a day when you could trust SWBTS to produce great preachers, but that seminary has just not lived up to that expectation in recent years. It’s just a sad deal all the way around for the once-great SBC. Their hypocrisy so glaring that they are blinded by it. The scripture is quite clear that we are to hold Christians to the highest standard and we are to expect non-Christians to act like…well…non-Christians and the irony is that these two and their cohorts do the opposite, i.e. President-elect Trump. They continue to provide cover, endorse and promote Mahaney, his books and his appearances at the good ole boy conferences while attempting to stifle anyone who would dare challenge them on this horrifically sinful behavior. Now they have the audacity to accuse Christians of undermining the Gospel because they support a flawed political figure in a world where the only choices are flawed political figures. They should be challenged by every Christian at every turn and I, for one, never cease to rebuke them on Twitter and any other forum that I can find because these men have no moral credibility and should be reminded as much until they repent. I agree, fiveonly. Thanks for your comment. I loved your comment fiveonly. It would appear that word is beginning to get out on Mohler and his fellow celebs, albeit slowly. That the Louisville Courier-Journal published the article by Jack Richardson IV, which was critical of Mohler and Moore is also telling. 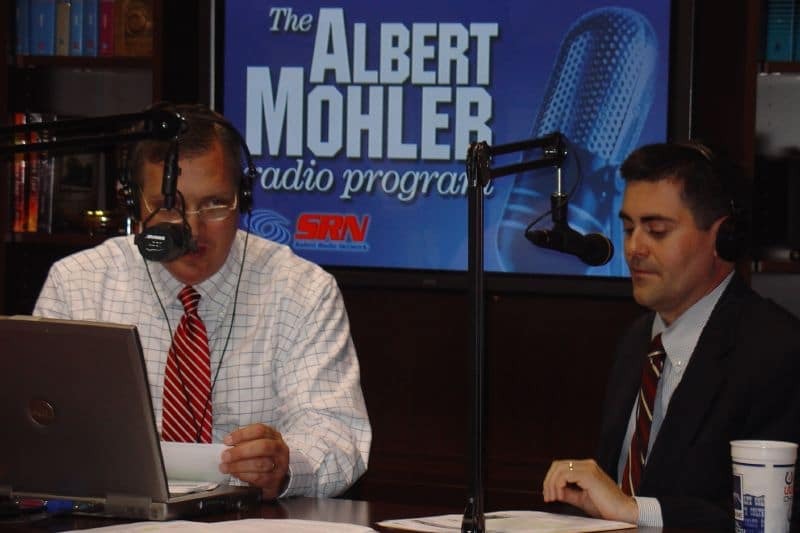 I have been told that Mohler wields a great deal of influence in Louisville. One wonders if in days gone by this article would have been published. Yes he did. He has been on the biggest radio station in this region for years with his culture war minute. But his typical well heeled businessmen supporters are aghast. And many of them are not even SBC but in other denominations- yet they were big supporters of SBTS. Btw: This election was not about morals but the economy. If it was about morals neither candidate would have made a showing. That is what Mohler and Moore missed. I was shocked to read Richardsons OP. That sort of public dissent surrounding SBTS is rare. Some have had problems with various Moore positions on free enterprise in the past but mainly communicated directly with Mohler. (I know a few of them who told me) But now Moore has a national position which changes everything. Funny how Moore hides his long time rabid patriarchy with his national position. Hmmm. Richardson let the cats head out of the bag suggesting Mohler does not like dissent of staff. Hee Hee. What amps understatement. And lo and behold after that OP there were a few “soft” dissents trickling out of SBTS. Oh yes, it is all managed. I just hope Richardson will see everything more clearly with the hypocrisy of “proDriscoll/AntiTrump”, indoctrination, protecting those who protect child molesters, Racist Founders promotion, etc, etc. Thanks fiveonly and Todd for the comments. I’m deeply uncomfortable with Christian leaders presuming to tell other Christians whom to vote for in both subtle and not-so-subtle ways, under any circumstances. We have a secret ballot process for a reason, and I think that clergy or the head of a seminary (like Al Mohler) should refrain from even asking anyone questions about which candidate they’re inclined to support. Also, on a logical level, these Christian leaders should not be assuming that people only have two choices. They may not have swung it one way or the other, but 3rd-party candidates did play a bigger-than-expected role in this election, and I think that trend will continue. Janna, My parents of an older generation would be appalled. Your vote was private and no ones business. We debated political issues all the time as a family, it was our idea of fun, but we knew as kids it was verboten to ask a grown up how they voted. I can not imagine a pastor from my childhood even daring to bring it up. It just was not done. People were considered adults who made such choices on their own. Thanks, Lydia. In all fairness, some of the issues pertaining to privacy and voting may be generational. I was shocked by people posting pictures of their ballots online yet many others, mostly people younger than myself, thought nothing of it. However, I don’t think it’s appropriate to take pictures in an area designed to promote the concept of casting a ballot secretly or have your clergy-person ask you whom you’re voting for. Some things shouldn’t change. Well said. Have you seen Carl Trueman’s Postcards from Palookaville calling for pastors to get off the blogs and podcasts place Trump voters under church discipline? Here’s the problem: They can promote TKNY all they want, but the gospel-centered world is still rooted in red state Southern Baptist churches. In those places, mocking the dying, liberal, mainline churches is still high comedy. Sadly but truly, the people who let Calvinism, elder polity, heavy shepherding, John Piper’s ascetics/nirvana, Eternal Subordination of the Son heresy, etc. in the door will notice liberal politics and speak up. Thanks! But, I comment on TWW and know and appriecate Todd from there. This is more of his arena. Thanks, Stan. Yes, this is Todd’s blog yet I approve many of the comments as his assistant. And write quite a few, as well. Thanks! Thanks for the links Stan. I am not a fan of the youngster, Samuel James. I tire of these “wet behind the ears” types that idolize the celebrity Neo Cals and think that graduating from Boyce College qualifies them to tell Christiandom how to think. I would guess that when he has grandchildren he will look back with embarrassment on much of what he has written. Not that age necessarily brings with it wisdom, but there does seem to be a much better chance of hearing sage advice from a 50 year-old than a 25 year-old. That ERLC has employed James and authorized him to be a spokesman for their organization highlights the fact that they have problems. Hee Hee. A bit of a shock to see past words. I have a theory about Mohler, Moore, etc I’d like to float here. These are men who are used to one way communication, power and admiration due to position. As another blogger so aptly put it they are “ambitious lecturers”. Their goal in life was to tell other people what to think. And they thought they had reached that pinnacle. Mohler built an extremely powerful empire of adoring followers using the tactics of stealth takeover of SBC entities, churches and partnering with non SBC groups like Driscoll/Acts29, Mahaney, Duncan and so on. The other leaders saw where the wind was blowing and jumped on the bandwagon like Aiken and other leaders. 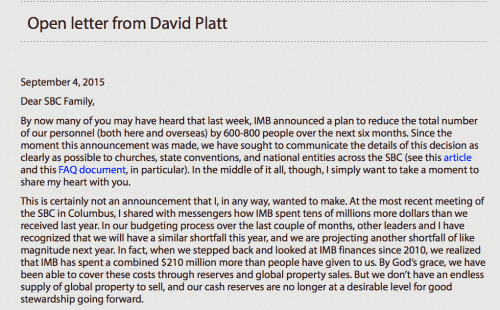 Mohler installed his loyalist at almost all of the SBC entities that control SBCmoney and resources. And think of this…. their main audience was not the SBC pew sitter but all seminary students, young pastors and older leaders who were looking to jump on the money machine bandwagon…. both inside and out the SBC. You can’t really have a reasonable discussion with a leader who is proclaiming their systematic theology as the only true gospel. This went on for many years. Most people just back down. After all, they use the big fancy ST words and who can argue with that unless they are theologically educated? The same exact thing happened in our culture with political correctness which is just another term for censoring and shaming. People learned not to discuss issues like Islamic terrorism, illegal immigration and to keep their mouth shut. This was especially true with a lot of people in the workplace, social situations, who did not want to be marginalized. They could not take the chance to utter a different opinion. You could have a Hillary bumper sticker but not a Trump bumper sticker. Some who tried got vandalized. They would be marginalized with platitudes of Islamaphobia, xenophobic, etc. next thing you know you were painted as a hater who wants to kill people who are not like you . How can anyone have an intelligent conversation with people who think that way ? You can’t. It’s all one sided. My theory is that most people kept their mouths shut in this “freedom of speech for some” culture to avoid always being falsely labeled. The result is those participating in and policing what is said is correct speech/doctrine —are now shocked. The irony is the censoring and shaming kept them in the dark. Censoring speech by falsely labeling and shaming people who simply disagree is a big reason for the election result. There has basically been NO policy debate in many years either in congress or the culture. I’ve seen this both in the church I left and the university I attended. While the strategy won the day via silencing it did not win people over and instead created resentment and determined opponents. I am a walking example of this. My former 9Marx church, uccdubai.com censored and shamed me. I am now a determined opponent. My experience, as well as others I have read of, is that there is a zero tolerance policy for any viewpoint opposing the pastor’s. I also read that Trueman blog post, and don’t agree with that interpretation at all. I understood him as saying that pastors should not be telling their members that voting for a particular candidate is a sin, because if they really took that seriously they would be obligated to discipline those members. That is also how I understood it Edward. The prophet Daniel worked with a corrupt political leader of his day yet he personally maintained an untarnished reputation. The moral preening by Mohler and friends indicates they prefer to have it backwards, they exhibit an unwillingness or inability to engage with a fallen world while displaying to the same world their own glaring deficiencies.